I hadn't planned on posting anything until next year (WHICH IS WAY TOO CLOSE - BACK OFF BRO) but this idea fell into my head as I was working on my 2018 goals, and I HAD to write about it before the New Year. This is my own personal creation. Year after year I have made big goals and NEVER gotten them done. This year, however, will be different. I figured out during finals that if I list out the projects I have and then further break them down into bite-sized steps, I feel way less overwhelmed and much more focused. So when I was making my own breakdown sheets for my goals, I thought to myself, "Oh my gosh, I bet other people will want this too!" I basically followed my goal breakdown process and put it in a worksheet format for you. Click here to download and print out this workbook fo' FREE. 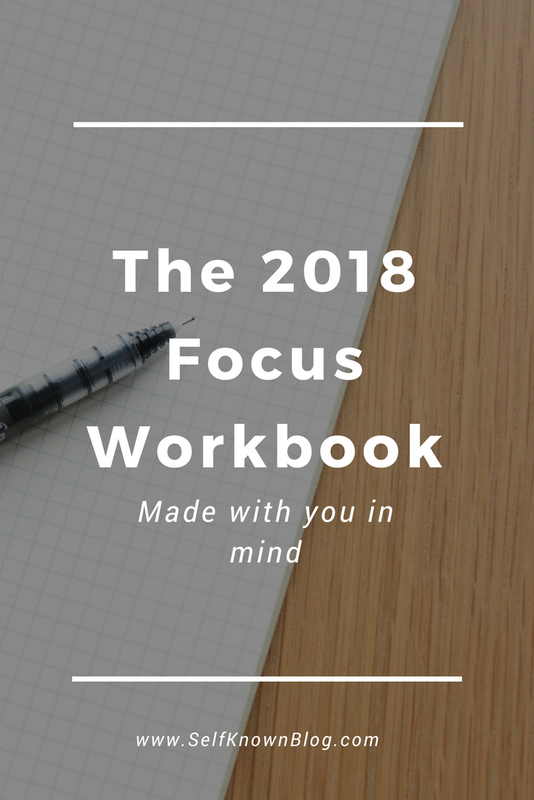 Start by choosing a word of focus for your 2018. (Mine is Forward.) Brainstorm several words until you find one that really strikes a chord with you. This is important because you will be looking at this word every day! On the next page list the goals that you have for your life. Just brain dump it all out, it doesn't have to be neat. Include goals that will take more than a year, less than a year, or even a year exactly - don't limit your timeline. Also, include deadlines. Very specific ones! These will help you so much. If you don't know how long it will take you, always be more generous than strict with yourself when deciding on a deadline. On the monthly spread, I like to assign a specific color to each of my goals and then, focusing on one at a time, write down the big steps for those goals in a month by month manner. Depending on how many goals you have, you may have to print more than one of these sheets out. I included a specific month "tracker" because this year I would really like to assign a monthly focus, some goals, and have a space dedicated to giving me an overview of the month. I am a very visual person, so seeing what has to be done when (in a calendar set up) helps A LOT. Are you going to use this? Or do you have your own system in place? Let me know in the comment section below! Make sure to share this with your friends so that you guys can walk into 2018 and KILL it! Radical! I love it. :) I have a lot of goals in 2018 and writing them out and breaking them down into mini-goals always helps me as well! Thank you for this. :) I hope you have the best new year yet!